☕ Good Monday morning. Google's homepage tells us it's Data Privacy Day. 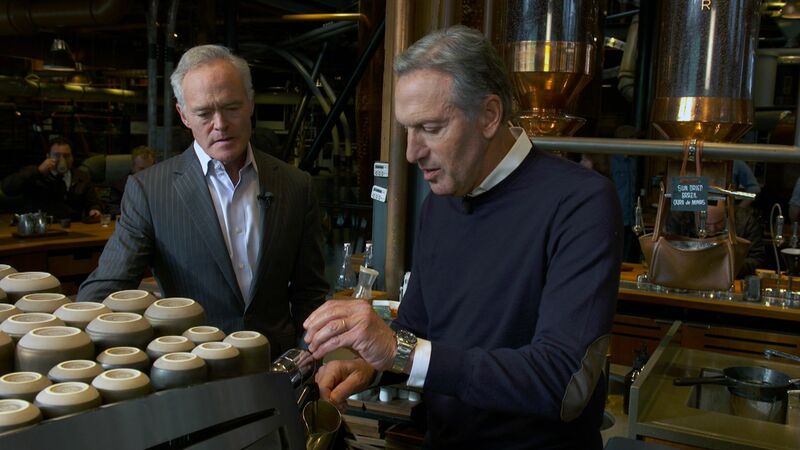 Former Starbucks CEO Howard Schultz tells Axios he's "unfazed" by the online trashing from Democrats who think that by running for president as an independent, he could split the anti-Trump vote and re-elect the president. "I'm putting myself in a position that I know is going to create hate, anger, disenfranchisement from friends, from Democrats," Schultz said after last night's "60 Minutes" segment unveiling his plan to explore an independent bid. "I'm concerned about one thing: Doing everything I can to help families who have been left behind, and to restore dignity and honor back in the Oval Office." "I'm not considering this to win the Twitter primary," he continued. "I believe that lifelong Democrats and lifelong Republicans are looking for a home, and they're not spending hours and hours on Twitter." Schultz's fellow billionaire, Mike Bloomberg, looked at running as an independent, but will run as a Democrat if he plunges in. Howard Wolfson, a top Bloomberg adviser, tweeted after Schultz's appearance: "I have seen enough data over many years to know that anyone running for POTUS as an independent will split the anti-incumbent, anti-Trump vote." "The stakes couldn’t be higher. We can not afford the risk of spoiler politics that result in Trump’s re-election." A Schultz adviser tells me his team sees opportunity in "the most moderate population the country's ever had," with so many "disengaged and disenchanted." The adviser said research by the Schultz team shows a centrist independent would draw evenly from the Republican and Democratic nominees, and bring Trump down to a "statistical floor of 26-27-28 percent." Schultz talks of "the level of toxicity, the level of revenge" in national politics. But when I asked about Democrats, he said: "I don't want to get into specific people." When I asked Schultz for examples of conservative ideas he supports that liberals don't, he said: "I have been a loud voice with regard to the national debt and the deficit, going back to the years of President Obama." Schultz said it's too early to talk about a running mate. But when I asked him a Republican he admires, he said Purdue President Mitch Daniels, the former Indiana governor. And when I asked him a CEO he admires, he singled out IBM's Ginni Rometty, who "defines authenticity." Schultz plans to travel the country for the next three months. He'll appear on "The View" tomorrow — the publication date of "From the Ground Up," which he calls "part memoir, part blueprint for how to induce positive change." He told me he'll decide by late spring or early summer. He left open the possibility of self-financing his campaign, which leaves him in less of a rush than candidates who have to build a fundraising machine. "I think I've got plenty of time," he said. "I'll gauge the level of interest in what I've come to believe over the last year — that a choice between Donald Trump and a far-left-leaning progressive Democrat provides a wide and large opportunity." 2. Kamala launch: "We are better than this"
L.A. Times front-page headline: "Harris springs to head of pack." 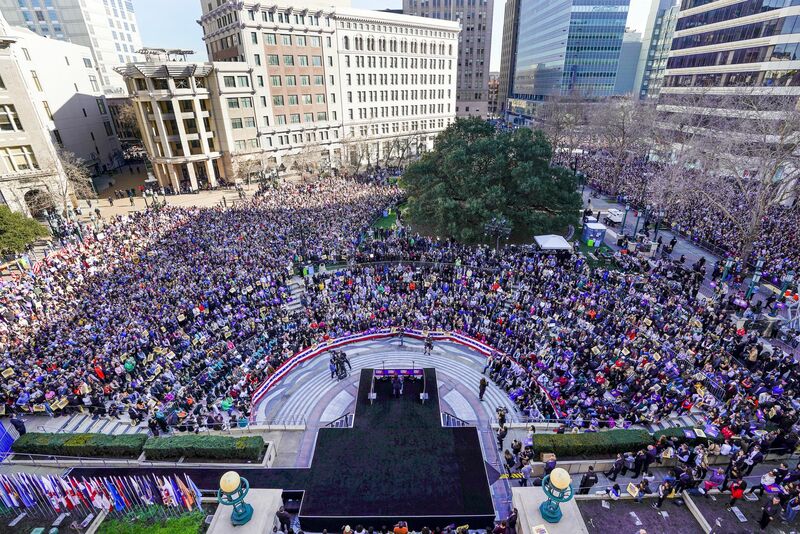 "Even before Kamala Harris’ campaign launch in Oakland [yesterday], her nascent 2020 bid had already hit full gallop — a star turn on 'Good Morning America,' a self-reported seven-figure fundraising milestone," the L.A. Times' Melanie Mason and Mark Z. Barabak write. 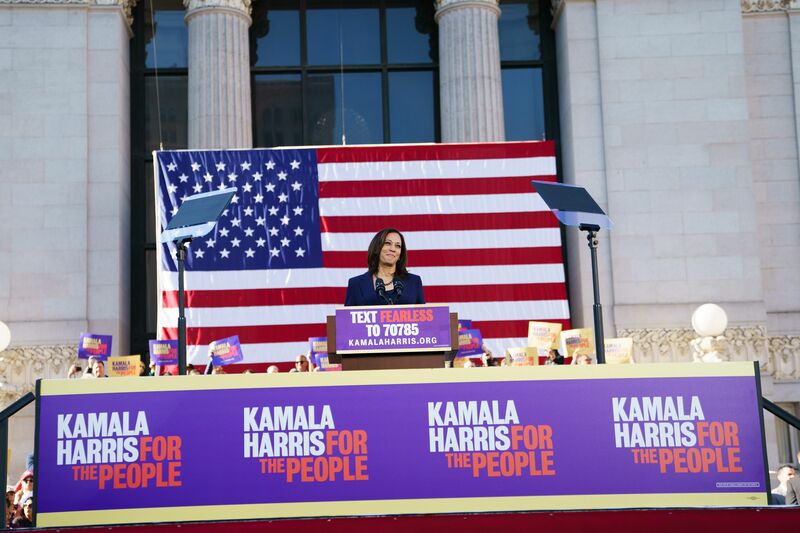 "With that fast start, Harris has stoked a perception that she is not just an elite candidate, but among the Democratic front-runners — a designation that is loaded with both upside and danger in this very early stage." If you're 25 or younger and live within a large swath of the Midwest — from Minneapolis to Chicago — this week will feature the coldest temperatures of your life, Axios science editor Andrew Freedman writes. The frigid outbreak, which has already begun in parts of Minnesota and Wisconsin, will be life-threatening and disruptive for tens of millions of people this week. The National Weather Service is warning that wind chills will plunge to the lowest readings since the mid-1990s across the Upper Midwest. Wind chills on Wednesday morning in parts of Illinois, Wisconsin and Minnesota are likely to approach the minus 50s°F to minus 60s°F. Such conditions can cause frostbite in just minutes, and will likely force the cancellation of schools across the region. 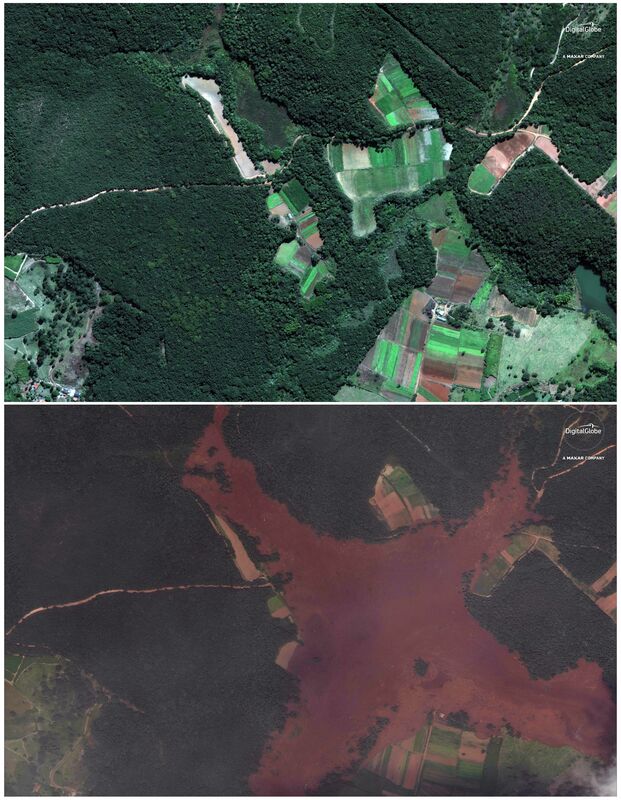 These "before" and "after" satellite images show the destruction from the collapse of a mining company's dam in Brumadinho, Brazil. 58 people were killed and up to 300 missing in an avalanche of iron ore waste. 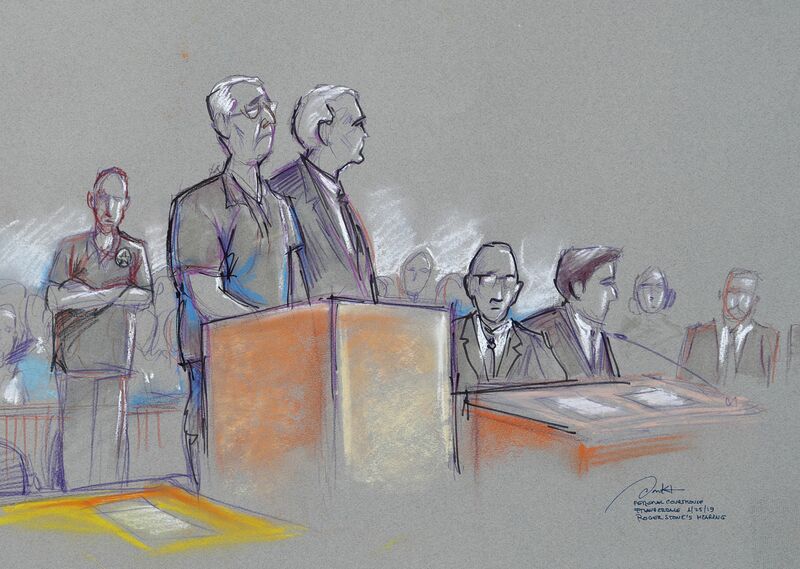 "The slow speed of search efforts was due to the treacherous sea of reddish-brown mud that surged out," AP reports. "It is up 24 feet deep in some places, and to avoid the danger of sinking and drowning searchers had to carefully walk around the edges or slowly crawl out onto the muck." Facebook’s decision to unite the technical guts of its three giant messaging services could not only cement its dominance of instant messaging but also help fend off future break-up attempts by antitrust cops, Axios' Scott Rosenberg and David McCabe report. Uniting the back-end technology that runs Instagram, Facebook Messenger and WhatsApp is more than just an engineering call. The world's billionaires increased their wealth by $2.5 billion per day in 2018, reports Axios chief financial correspondent Felix Salmon. There are now more than 2,200 of them, and the amount of wealth stored in offshore tax havens was estimated at $7.6 trillion in 2015. "Trump’s former campaign chairman, deputy campaign manager, former national security adviser, personal lawyer and a campaign foreign policy adviser have all been accused of lying to investigators exploring Russia activity." "Still, the mounting false statements charges collected by Mueller do not speak to the question of criminal coordination between the Trump campaign and Russia, some analysts noted." 📈 Stat of the weekend ... "Trump and His Associates Had More Than 100 Contacts With Russians Before the Inauguration," per the N.Y. Times, including "in-person meetings, phone calls, text messages, emails and private messages on Twitter." The Green New Deal represents the progressive flank of the Democratic Party, but it has no Republican support. The other, a carbon tax, is bipartisan and reflects controversial compromise. The need for bipartisan support: While America’s political discourse has gotten more partisan in recent years, actual laws passed by Congress have not, according to forthcoming research by James Curry of the University of Utah and Frances Lee of the University of Maryland. "Some 47,600 Americans died of opioid overdoses in 2017. ... That’s more than die as a result of traffic crashes. Opioid deaths were 13 percent higher compared to 2016, up a notch in a 20-year onslaught." "In an instant, the yearslong cycle of treatment centers, detoxes and jail cells, the late-night phone calls, the holes punched in walls, the nights spent pleading with God, the emptied 401(k)s — it was all over." "There are hundreds of thousands of families like them, and dozens more made each day." Some universities "are tracking how quickly prospective students open email and whether they click links." "Enrollment officers at institutions including Seton Hall University, Quinnipiac University and Dickinson College know down to the second when prospective students opened an email from the school [and] how long they spent reading it." Why it matters: "Many students have no idea they are being tracked, or to what extent."